97.4% of respondents would recommend this to a friend. 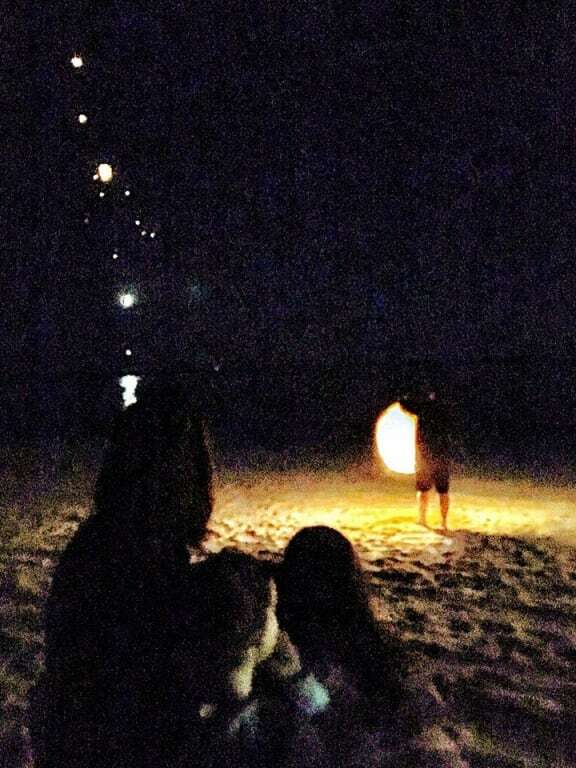 We sent off the lanterns in memory of our deceased family members. It is a Christmas Celebration that our family will never forget. The lanterns are not cheaply made, I took one out of the packaging. They are for my wedding this upcoming April. I'm really excited to use them! Ive been looking for these for a long time so happy. Ive been looking for these for a long time so happy. For whatever reason I couldn't go back and edit my original review. After seeing my 3 star review on the shipping for their lanterns, they contacted me apologizing for the delay and offered me a refund for my shipping. Glad to see a company actually pay attention to their reviews. I'll order again. Thanks! These come with everything but a lighter to light. I would've given 5 stars however they take a very long time to light and lift off. My advice is to have several lighters if you want to send them off all at the same time. We had to send them off one at a time. We could not have been better pleased with these lanterns ! We could not have been better pleased with these lanterns ! I found the product so much better than I thought. I found the product so much better than I thought. They were great! They were great! We were first time users and had no problem using the lanterns. Also, every one worked - no defects. They were a real crowd pleader. Prompt and in good condition. I'll order this product for all our special occasions! I'll order this product for all our special occasions! This particular product is sturdy, ignites as stated and is amazing and beautiful in flight. It is not a flimsy easily torn piece of junk. I love everything about it. Lanterns were beautiful! 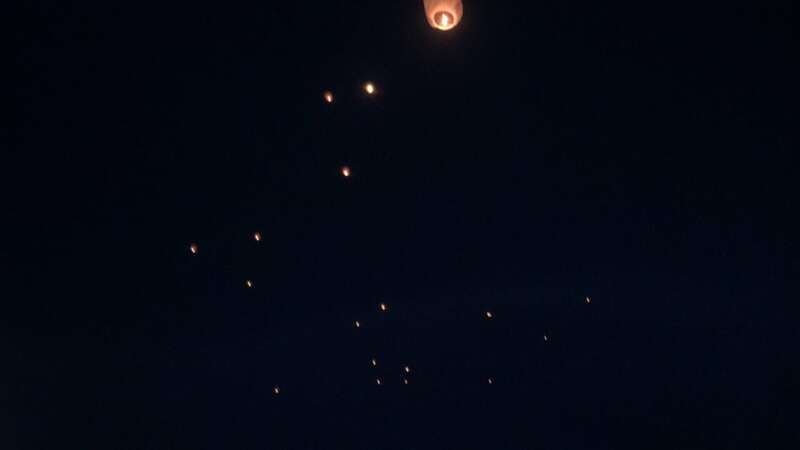 Lanterns were beautiful! Used them at a memorial for my Fiance's birthday on 6/3/17 to celebrate her life; sadly she passed away 12/2016. 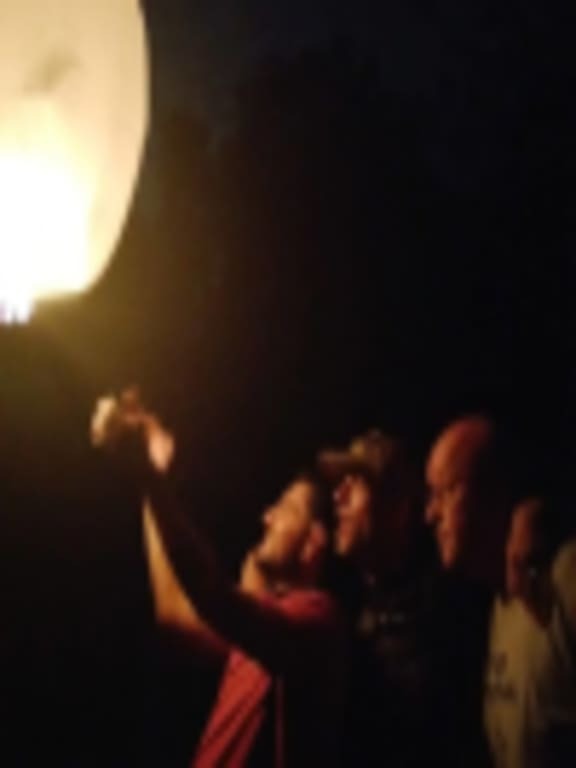 Every lantern worked to perfection and it was a beautiful way to celebrate her memory. 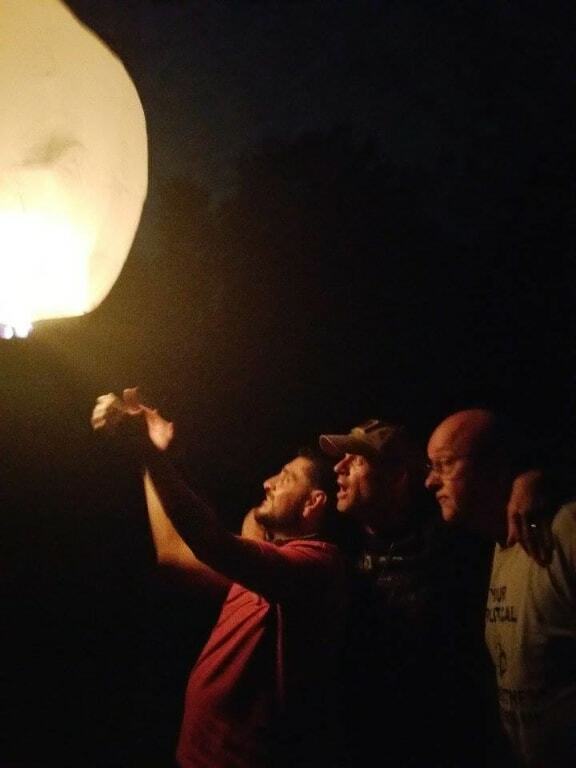 We'd wanted some sky lanterns to send off at a dear friend's memorial. Considering ourselves crafty we thought they'd be a breeze to make. Not so much. 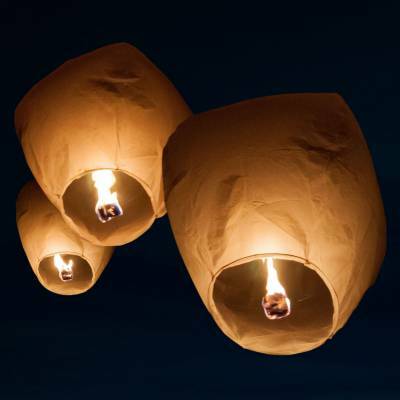 Finally deciding to maybe order them online, we were very pleasantly surprised by how easy, affordably, and how fast we had far more lanterns in our hands than ever imagined. They're beautiful and we look forward to sending them off with joyous tidings. Thank you. Lanterns worked very well for our wedding. The night was magical! The night was magical! The night felt like a movie from Tangled. Delivery was fast and on time. Fast shipping. Product is good size, appears larger than most lanterns.